Australia’s national flag carrier, Qantas Airways, has posted record profits for the six months to December. The firm, which has been through a major restructuring in recent years, booked underlying profits of 976m Australian dollars (£547.m; $761.48m). Three years ago, the flying kangaroo, as the airline is affectionately known, posted record losses. Its turnaround to profit is seen as one of the biggest in Australia’s corporate history. 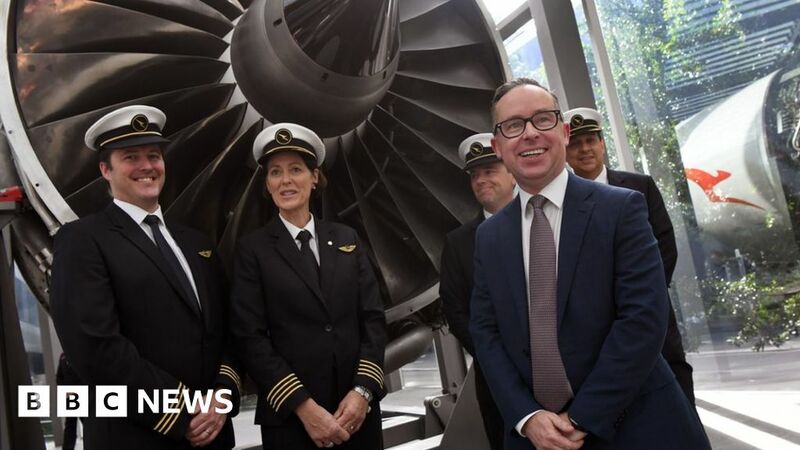 “Today’s result comes from investing in areas that provide margin growth and a network strategy that makes sure we have the right aircraft on the right route,” chief executive Alan Joyce said. The half-yearly result marks a 14.6% jump in underlying profit from the same period a year earlier and comes amid higher fuel costs and stiffer competition on the domestic front. The airline’s underlying profit is the measure most closely watched by analysts and investors. The firm’s Sydney-listed shares were up close to 8% in mid-morning trade. The firm said overall revenue and other income rose 6% to $8.66m over the same period. It also announced a share buy-back worth $378m. On the international front, however, Mr Joyce said the firm had faced more seats in the market together with rising fuel costs. But Qantas International “had largely held its own, with a 6% decline in profit and a slight rise in unit revenue,” he said. Qantas is Australia’s biggest airline and controls nearly two-thirds of the country’s domestic market. March 30, 2019 Comments Off on A mom refused to take her unvaccinated toddler to the hospital for a fever. Armed police officers tore down the door.